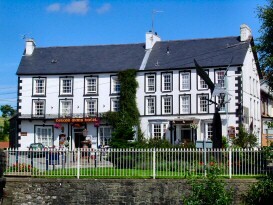 Hello, and welcome to the Neuadd Arms Hotel website. Situated at the heart of Britain's smallest town, between the Cambrian Mountains and the Brecon Beacons, we offer a unique opportunity to stay in the undiscovered 'Welsh Lake District'. Have a look around, and we look forward to seeing you soon.